“Every good spy story,” my friendly (former) CIA operative told me, “has a beginning, a middle and an end. 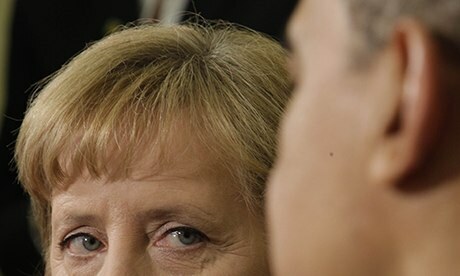 And so, the snooping on the German chancellor and her European colleagues will surely stop.” He didn’t say: “It won’t resume.” Because it always does in a new guise, perhaps more elegantly and subtly. For states need to know what other states are up to – friends or foes. Even so-called friends are commercial and diplomatic rivals. Some of our friends deal with our enemies, selling them dual-use technology good for insecticides, but also for nerve gas. Or metallurgical machinery that can churns out tools as well as plutonium spheres. Let’s take an earlier story. Recall Echelon, the spy scandal that roiled Atlantic waters in the 90s. It was set up by the Five Eyes – the Anglo powers of the United States, Britain, Canada, Australia and New Zealand – to monitor signal traffic in the Warsaw Pact. After the cold war – spies always look for gainful employment – it was turned inward, on the Europeans, to scan satellite-transmitted communications, allegedly for industrial espionage, too. Was it stopped? Yes, the US handed over its listening station in the town of Bad Aibling to the Germans, but the game never ends. In the last 20 years, the importance of satellites has dwindled in favour of fibre optics, the new object of desire on the part of the Five Eyes and of France. Curiously, the British GCHQ and the French DGSE – which have broken into digital communications networks just as assiduously as has the NSA – have escaped much of the blame. NextBritain’s New Banking Scandal…is it really new?? ?